Explore how to see, make and experience architecture. This summer programme aims to enable secondary school students from Hong Kong and abroad to understand first-hand the joys and challenges of studying architecture. It provides an opportunity for enrolled students to unleash their creative potential through art, design and architecture. During the two-week programme, students will learn to see the significance of architecture through lectures offered by professors from the School of Architecture, and explore the fun of design making by transforming a concept into three-dimensional spaces, using both hand tools and computing software. Students will also experience architecture through guided field trips to significant buildings and professional architectural offices. Over the course of the programme, enrolled students will be tutored to develop their individual design projects. Periodic “design reviews” are also scheduled for students to present their work and receive advice from faculty members and design professionals. The combination of studio learning, workshops, lectures and field trips presents a unique introduction to different aspects of architectural practice today. 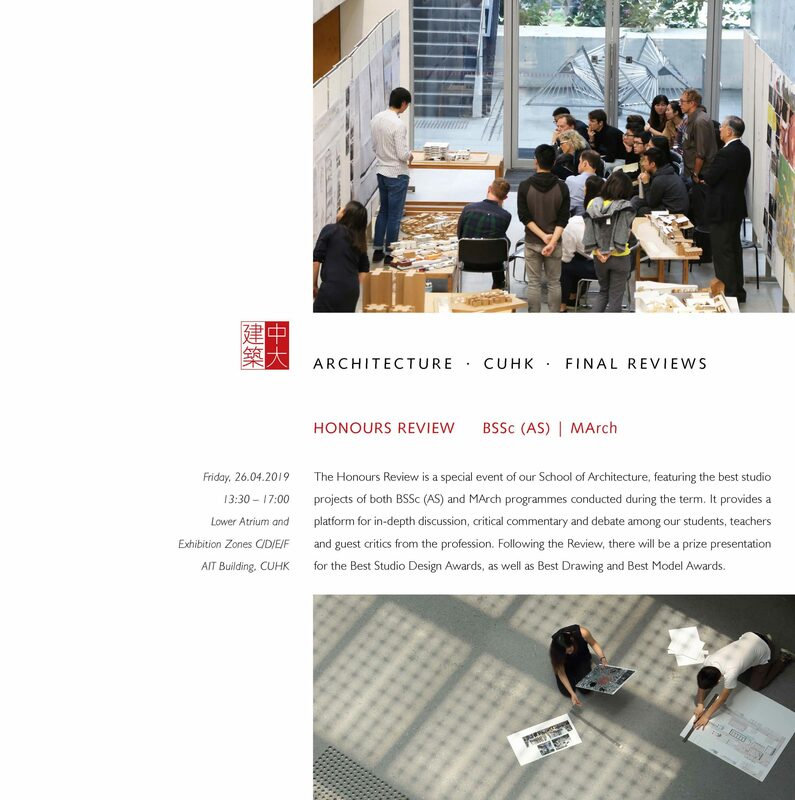 If you would like to explore these ideas and skills and see whether Architecture could be your future career, then the Architecture Explorer Programme at CUHK is the right place for you. Who will be your instructors? An international panel of architects, as well as professors of architecture in design, history and theory, building technology, computational design and urban design. Deposit and accommodation fee are not refundable. Programme withdrawal requests should be sent to aep@arch.cuhk.edu.hk as early as possible so that your place can be given to applicants on the waiting list. 50% of the programme fee will be refunded if we receive a written withdrawal request with a valid reason by 10 June 2019. No refund will be made for requests received after this date. No refund or reduction of programme fee, accommodation fee, or visa application fee will be made to late arrival to the programme, dropout, or dismissal from the programme due to violation of programme regulations.